Classic Elegance is abundant in this eye-catching custom 4-bedroom, 4 bath, 3 car garage home located in desirable Manors of Crystal Lake! Zoned for the highly sought after Steinbrenner H.S. 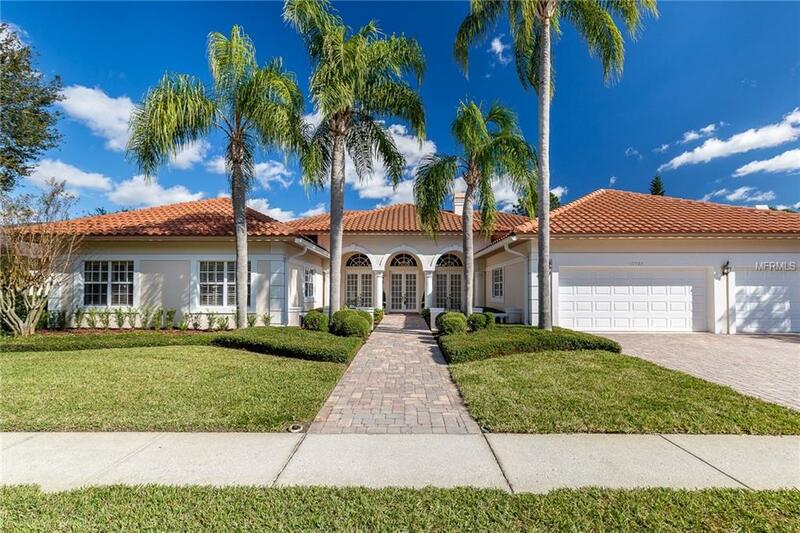 Incredible water views and impressive curb appeal show pride of ownership throughout every room. Back on market due to buyer financing. NEW TILE ROOF was installed in 2012! The elegant formal living and dining rooms feature a breathtaking wall of glass with tranquil pool and pond views. Youll be impressed with the stately columns, marble inserts, soaring ceilings, cozy fireplace and French doors leading to the impressive outdoor entertaining area which includes a screened oversized paver pool deck with outdoor kitchen & sparkling custom pool. Open to the spectacular family room, the spacious, light and bright kitchen features ample counter-space, breakfast bar, eat-in area, plant shelves and storage. Other impressive features include Master suite with morning room, wet bar, en-suite with large walk in shower, dual vanities and relaxing tub. Have toys? You'll love the spotless 3-car garage with built in storage. Beautifully landscaped community recreation area features tennis courts, basketball, playground, and recreation pavilion in addition to the 24- hour guard gate for total security. The Manors at Crystal Lake is conveniently located to major highways, medical, university, and recreational facilities.